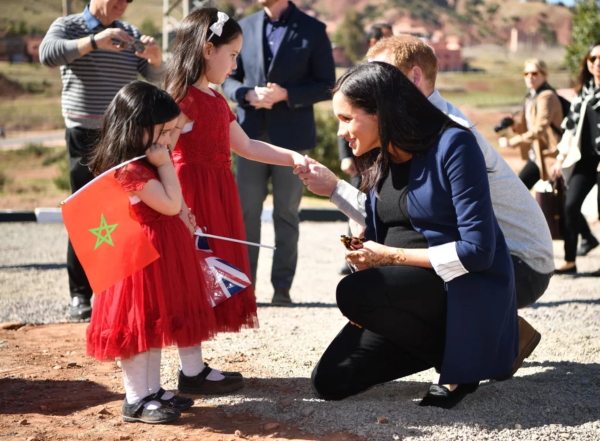 Getty Images:/Prince Harry and Duchess Meghan greeting Morocco's Asni village children. 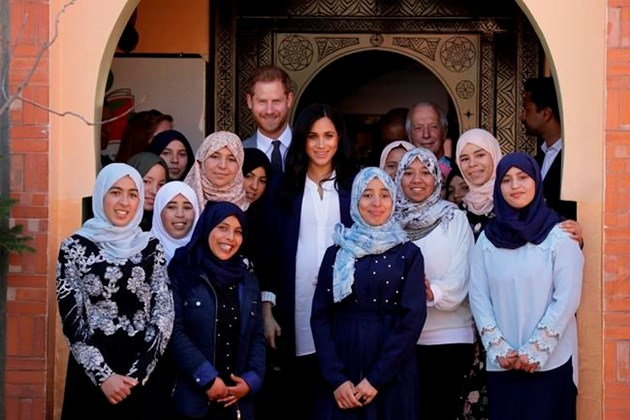 Rabat – Prince Harry and his pregnant wife Meghan have already enjoyed a number activities over the weekend, with a particular focus on girls’ education. 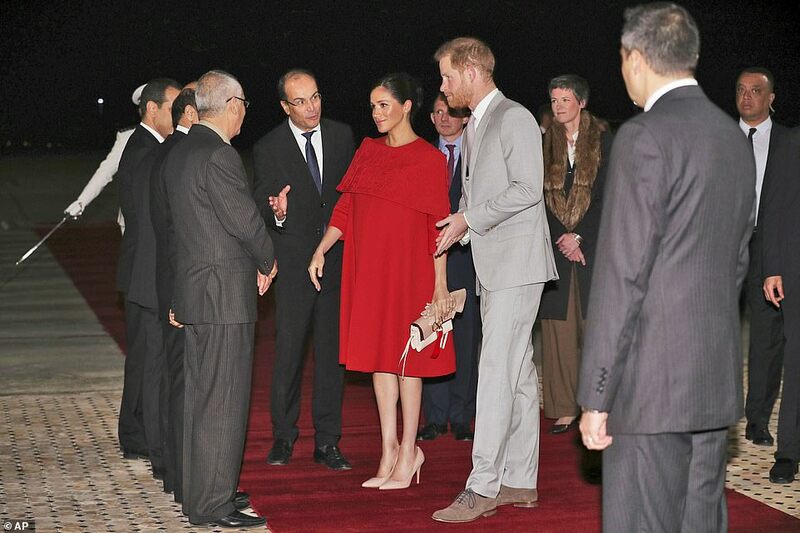 The duke and duchess of Sussex arrived on Saturday night at Mohammed V International Airport in Casablanca, where they were greeted by Morocco’s Crown Prince Moulay El Hassan, Moroccan officials, and British Ambassador to Morocco Thomas Reilly. 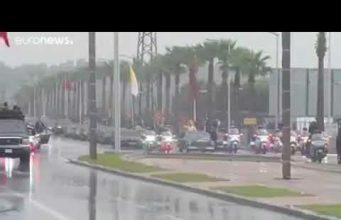 At the airport, the royal couple got a first glimpse of Morocco’s welcoming traditions when they were offered dates and milk. 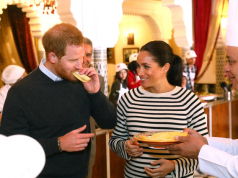 On Sunday, the royal couple traveled to Asni, a small town in the High Atlas Mountains, 50 kilometers south of Marrakech. 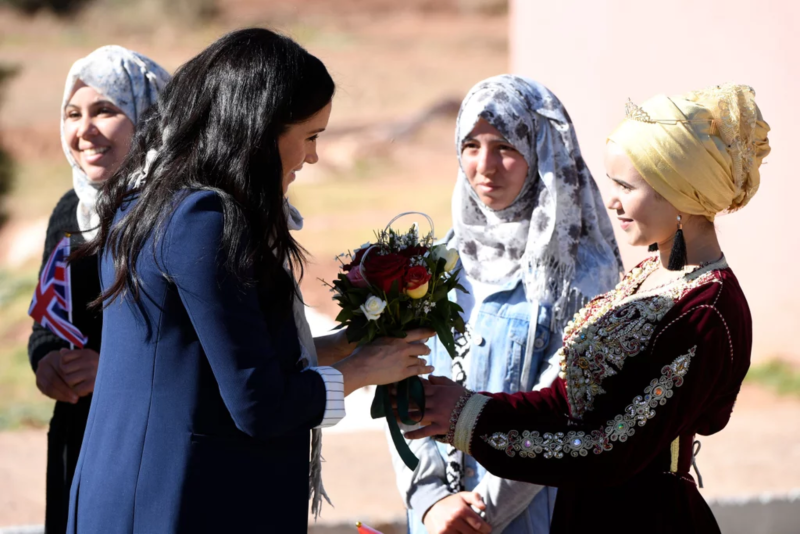 Getty Images:/Prince Harry and Duchess Meghan greeting Morocco’s Asni village children. 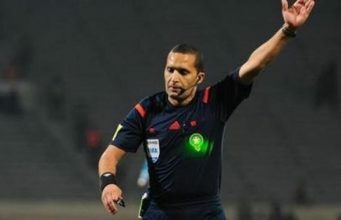 There, they were greeted by village girls, carrying Moroccan and British flags and flowers. 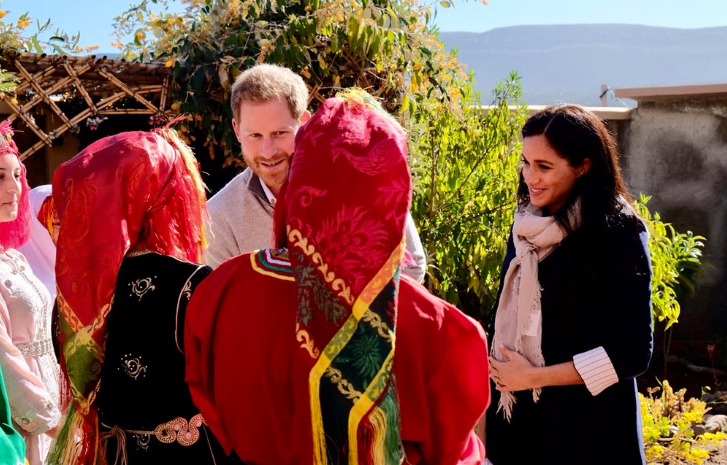 The village girls, wearing traditional Amazigh (Berber) dresses, sang songs in Tamazight to welcome the royal couple, who seemed to enjoy the children’s company. 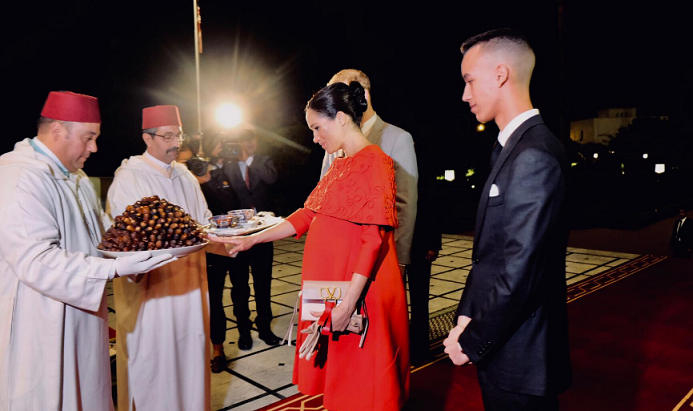 In Asni, the duke and duchess enjoyed a traditional Moroccan henna ceremony, and Duchess Meghan even got henna tattoos on her hand. 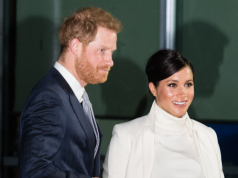 Getty Images/Harry and Meghan at Henna ceremony. 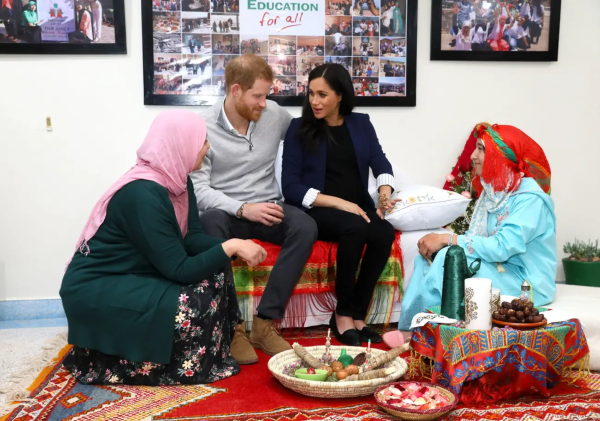 The royal couple visited UNESCO’s local Education for All boarding school and Lycee Qualifiant Grand Atlas secondary school in Asni. 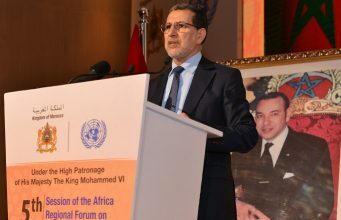 There, they learned about Morocco’s efforts to empower rural women and promote high quality education in general. 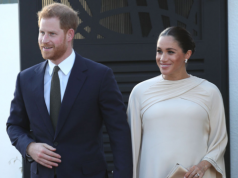 The prince and Meghan Markle interacted with the school children. 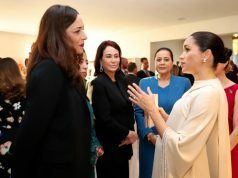 Meghan even spoke a bit of French with girls at the Education for All dorms. 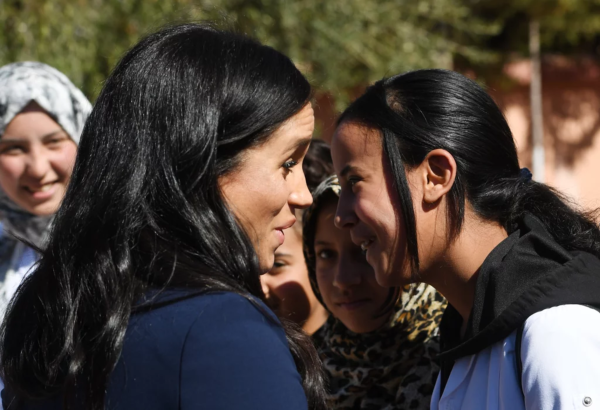 Getty Images/Meghan Markle and British Ambassador to Morocco, Thomas Reilly with school girls. “Empowerment of girls in rural areas, access to secondary education, support for children with special needs are among the axes of this visit, which comes at the request of the British government,” said the spokesperson of the UK government in the Middle East and North Africa, Alyson King. 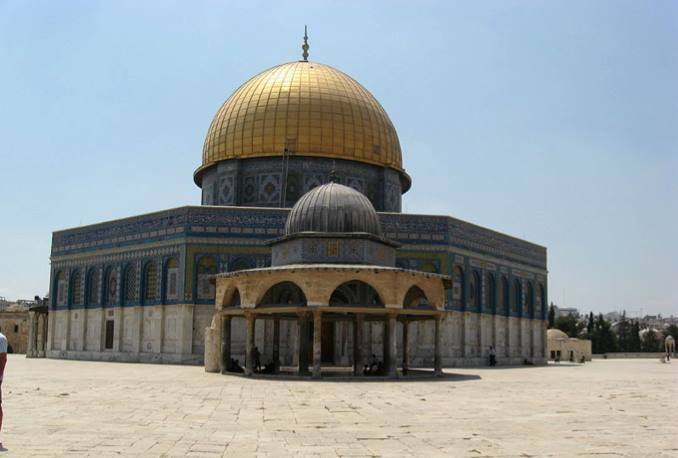 The couple then spent more time talking with and watching the children play. 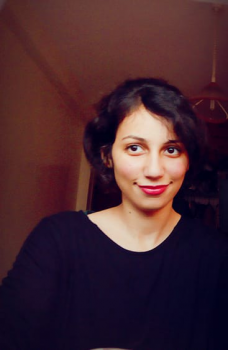 They also posed for photos with the schoolchildren at the sports field. 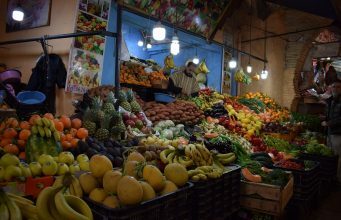 There is yet a lot for the royals to explore in Morocco on the last day of their visit.